This presentation was part of the Chicago demonstration team’s proposal to participate in Reimagining the Civic Commons, submitted in spring 2016. Chicago Arts + Industry Commons connects civic assets with untapped potential to recalibrate community activation, targeting resources as networks of neighborhood development, rather than as isolated assets. Chicago Arts + Industry Commons advances an innovative approach to community development – a socially engaged neighborhood master implementation strategy. The goal is clustered and coordinated activity among a network of significant sites, enhancing public access and better integrating these places into the city. This civic commons approach for the South and West sides of Chicago increases the number of opportunities available for people who have been left out of the upside of economic development. 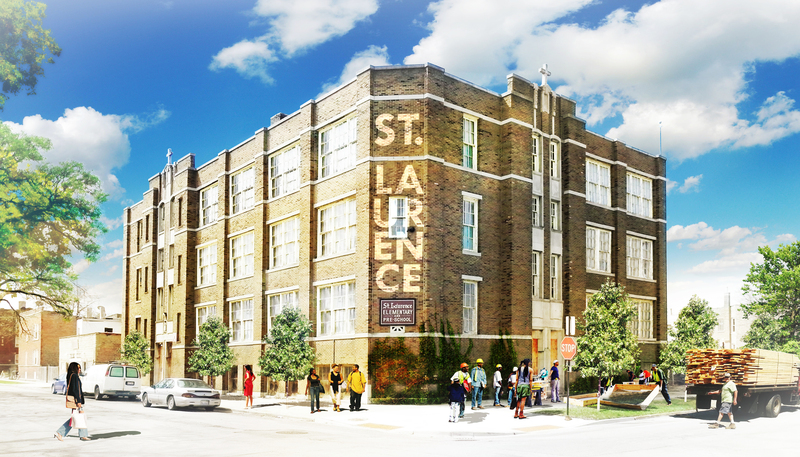 Three significant sites on the South Side of Chicago are reactivated and redeveloped: Stony Island Arts Bank, St. Laurence Elementary School and Kenwood Gardens. The reimagined spaces attract visitors of varying interests and from diverse communities, using intentional design that integrates educational, professional and socio-economic backgrounds. A fourth asset, located on Chicago Park District land on the West Side of Chicago, serves as a special manufacturing asset echoing in a new era of industrial production – modern vocational training in renovated municipal industrial buildings, offering lessons about production and programming from which all cities can learn. 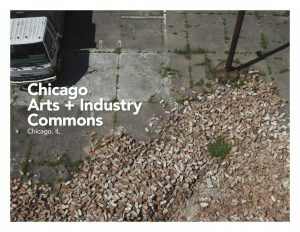 As a demonstration of financial sustainability, the Chicago Arts + Industry Commons employs an evolving cultural reinvestment model that uses the revitalization of civic assets with untapped potential as part of an engine that spurs new development and new capital, a portion of which is used to support the civic commons.